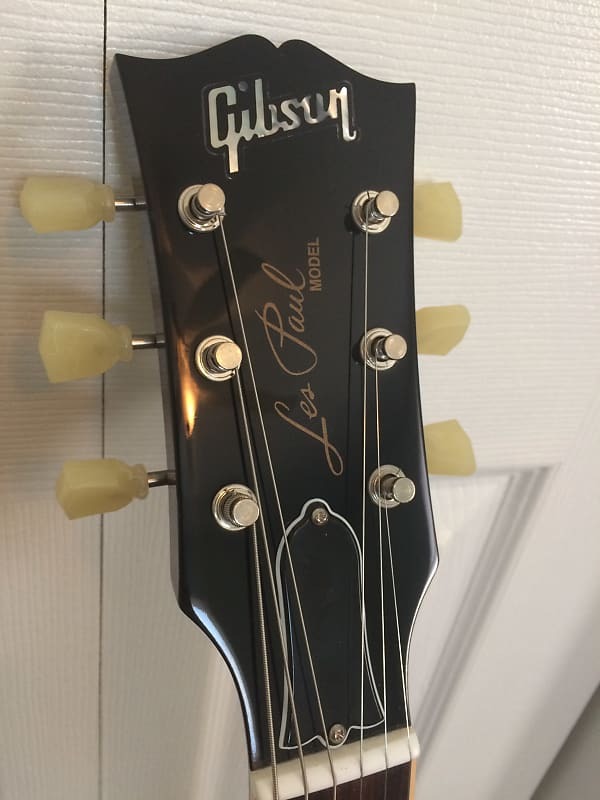 Up for sale is my 2014 Gibson ES-Les Paul in excellent condition. 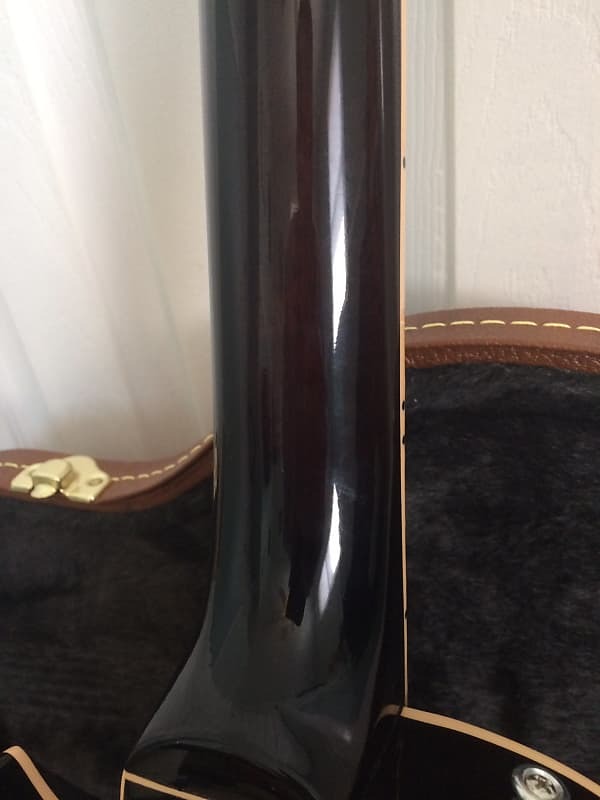 This guitar has been played, so it is not mint, but it is very clean. 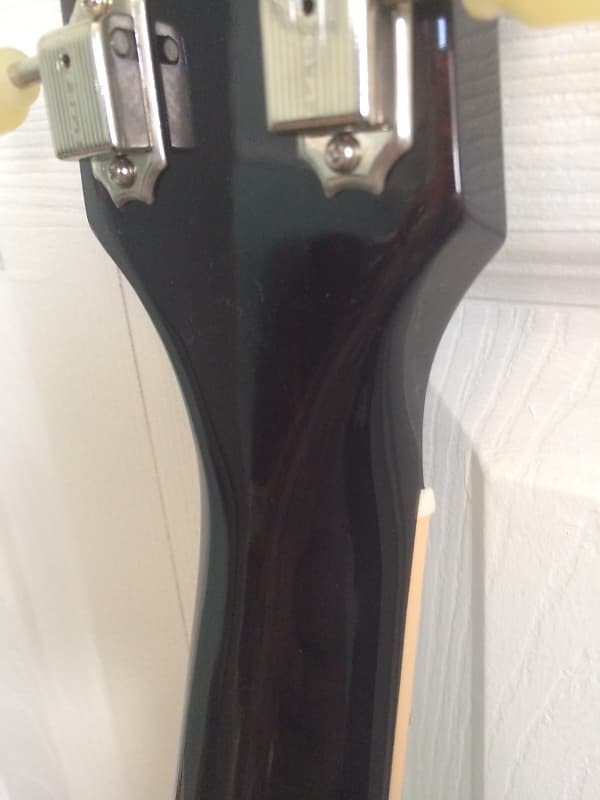 Please see photos for the condition of the guitar and feel free to reach out with questions. 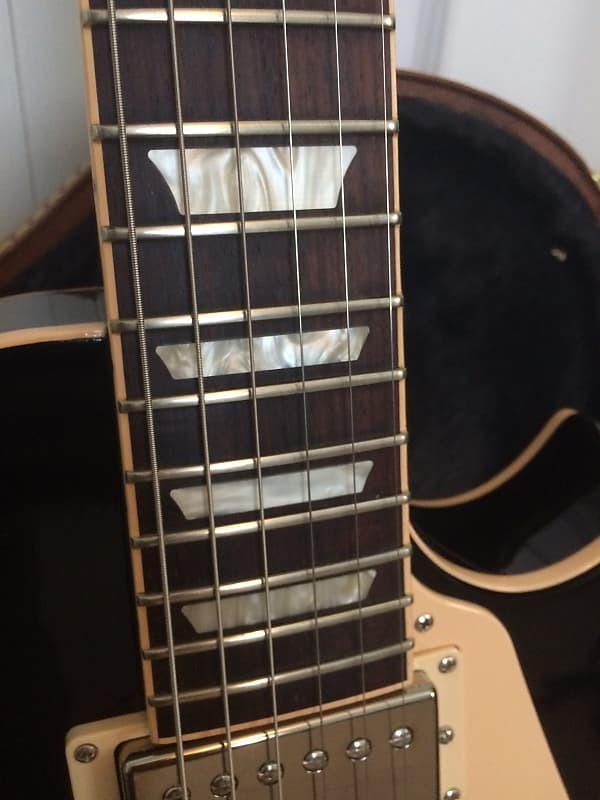 The only real flaw I can find on this guitar is lacquer checking at the neck joint and in the binding at some fret ends, which is very common for Gibsons and currently I have three other Gibsons with these same checking marks. This is actually my best sounding guitar at the moment through my Bluesbreaker clone. Why am I selling it, then? 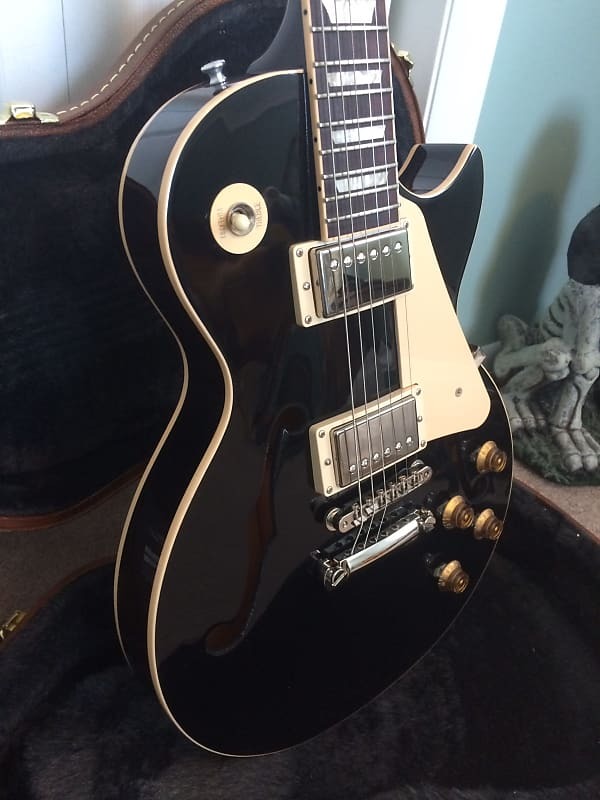 Because I intend to replace it with another ES-Les Paul with the same pickups and wiring but in the VOS finish. 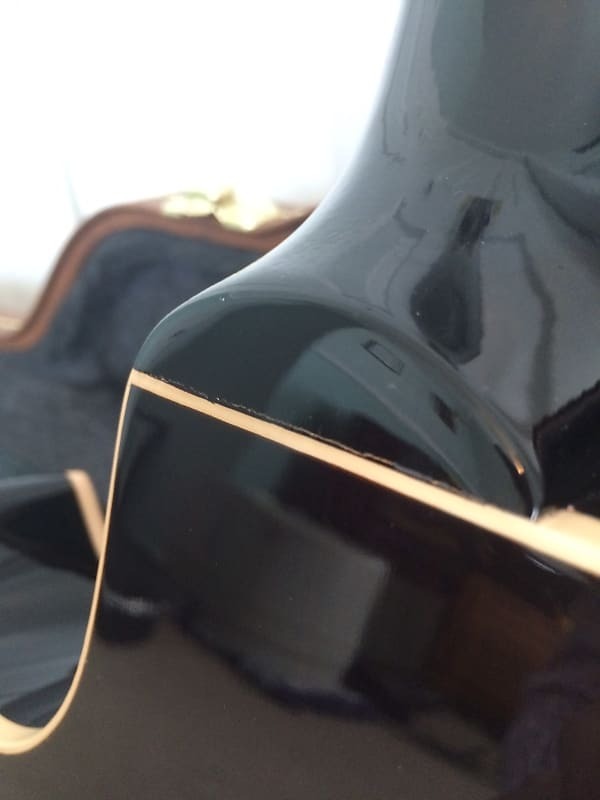 This guitar is super light! It weighs in at just 6lb 3oz and it balances nicely in the lap or on a strap. The MHS pickups sound fantastic! 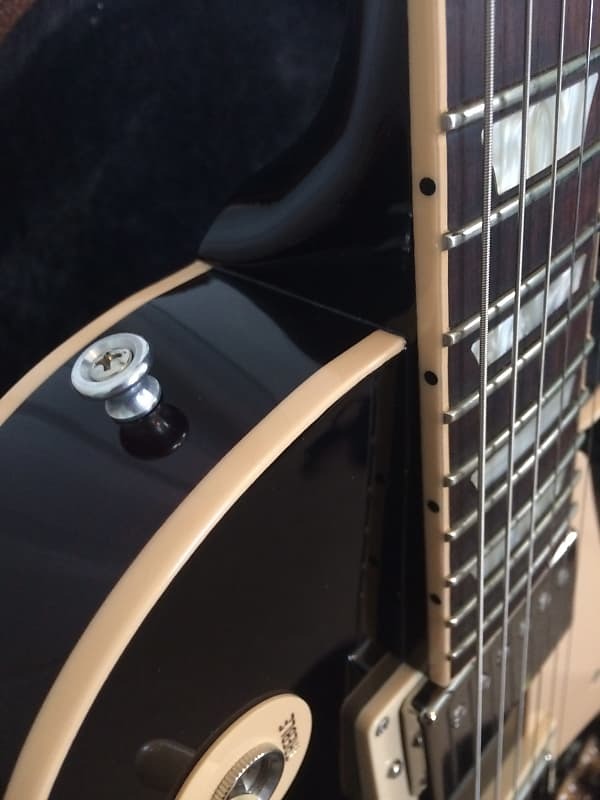 And the playability of this guitar is very, very nice. I am sure the new owner will enjoy! Comes with original case, COA, and warranty pamphlet. $1,495 shipped FIRM for forum members. 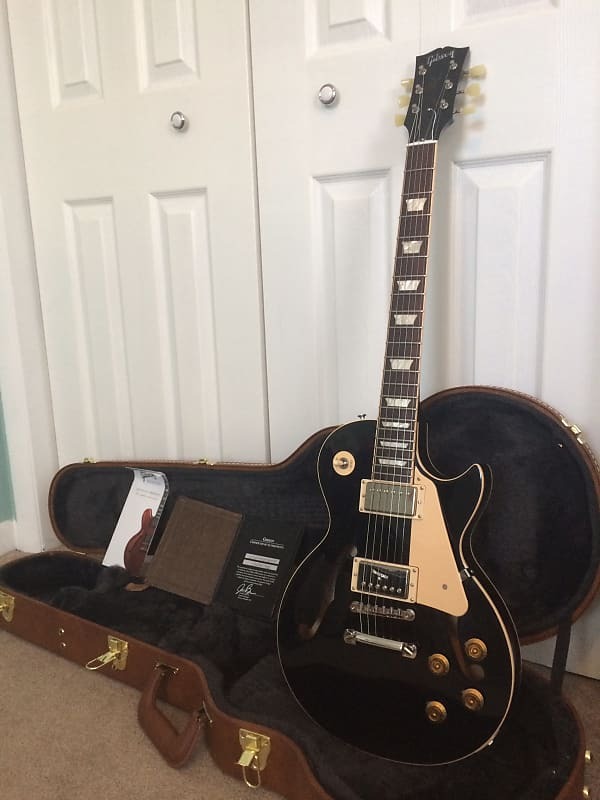 Really nice price on a great sounding and playing guitar. Agreed with Mr. Mdub up there above me, KILLER price. Good luck with the sale/trade buddy. Nice guitar. I bet some black plastics on this would look sweet. Price drop reflected in title and OP. 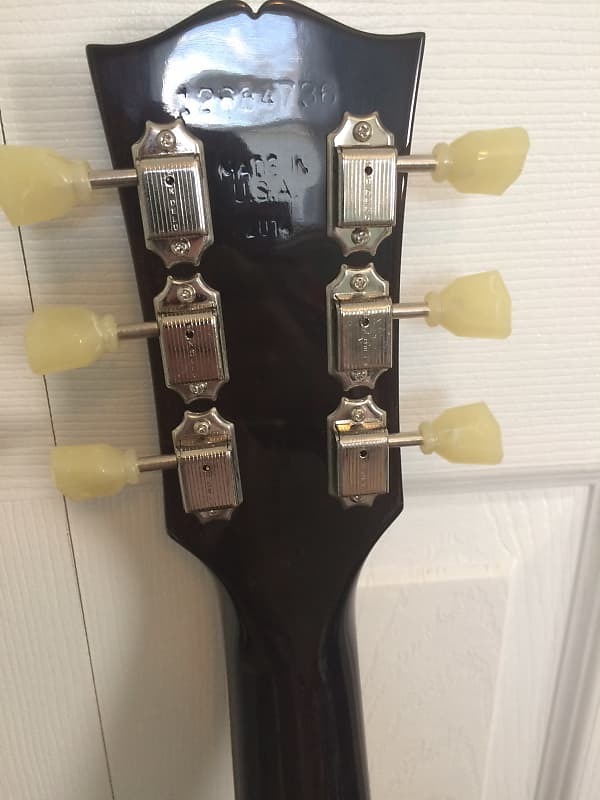 I notice no fret nibs. 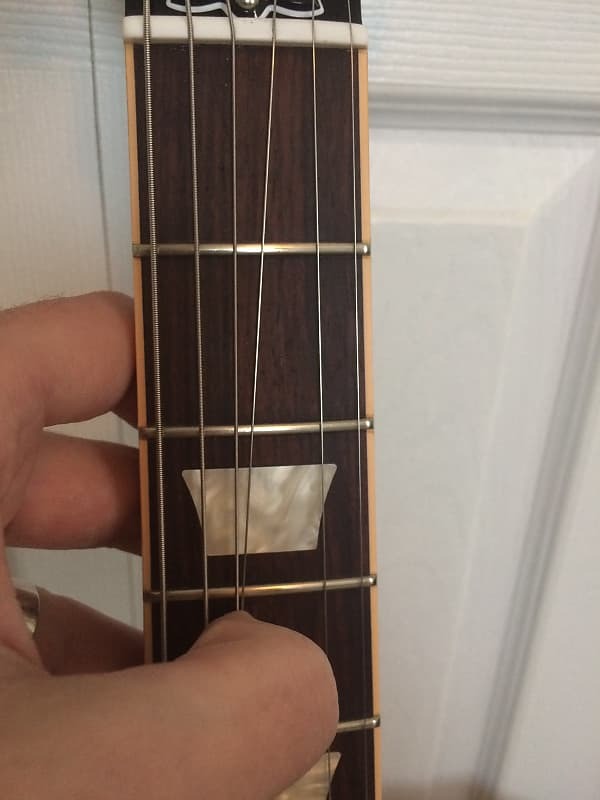 Are those the original frets or have they been changed? Good eye. 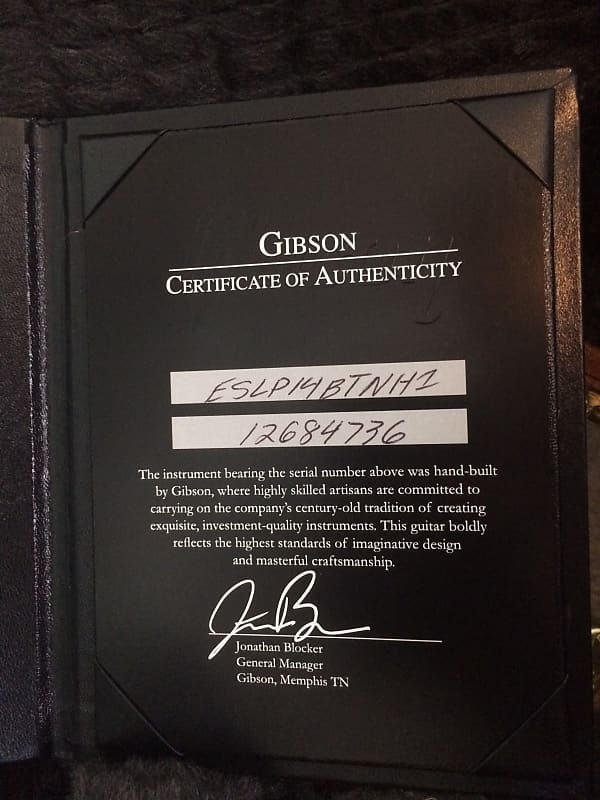 ES-LPs come stock with no nibs. 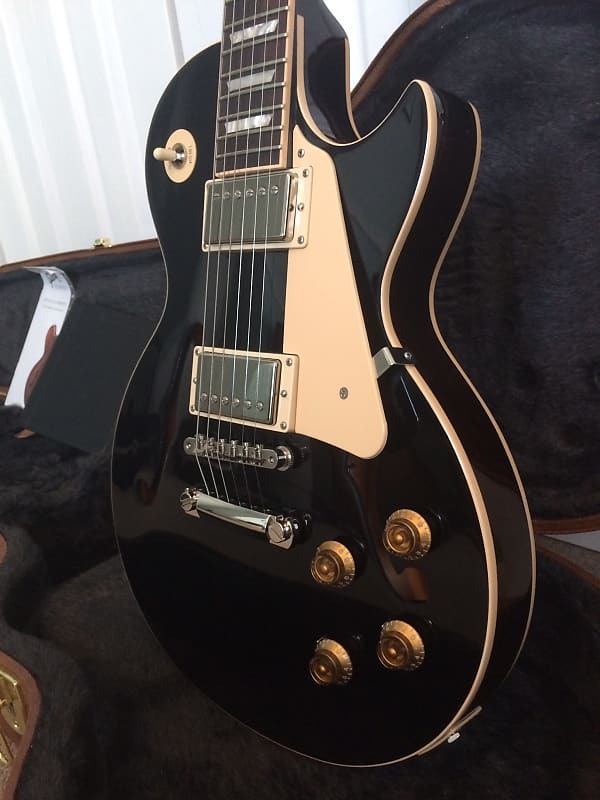 The ES-LP is constructed like a 339 or 335, so I'd say it tends to lean toward the sound of an ES guitar over a Les Paul. MHS stands for Memphis Historic Spec, I believe. These are the standard pickup on all the ES line from about 2015 to now. They are stellar, in my opinion. Unpotted and slightly underwound. Thanks, Man. 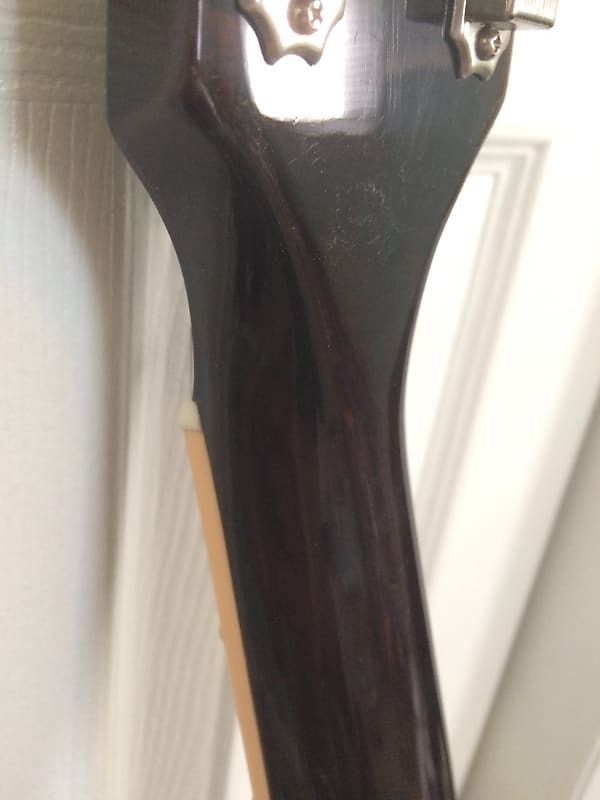 That succinctly answered all my questions except one: how to sneak it past my wife....It is the most exciting guitar [to me] I've seen on this forum in a while. Looks like so much fun to play, and it's so good looking! 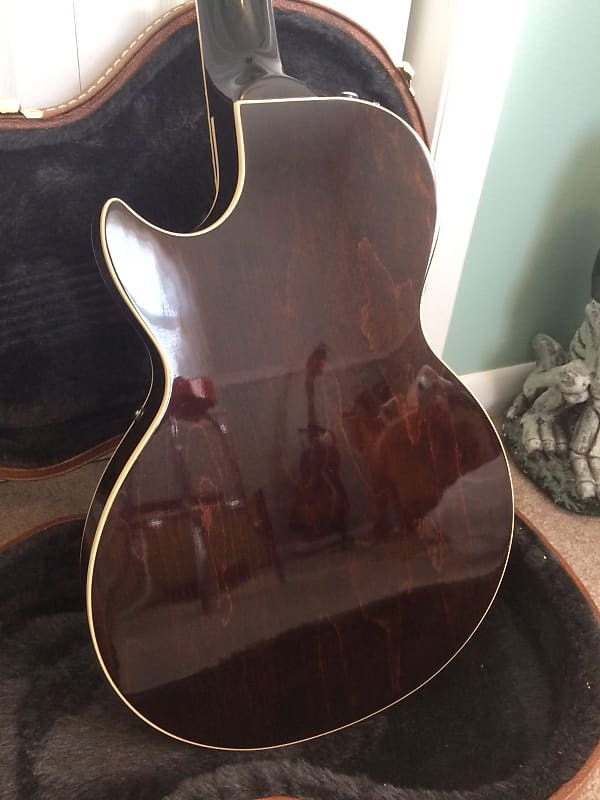 Is it just the back that is stained that warm walnut, or are the sides also stained? I can't tell. Man, that thing is gorgeous! 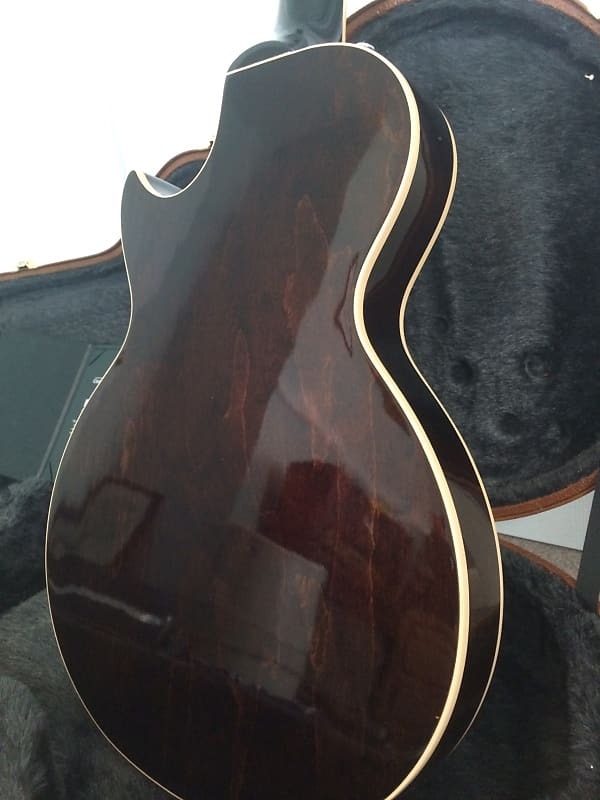 The back, sides, and neck are all stained a dark walnut color with grain showing through. Thanks for asking! ES LP construction (if @Family Man ) doesn't object. 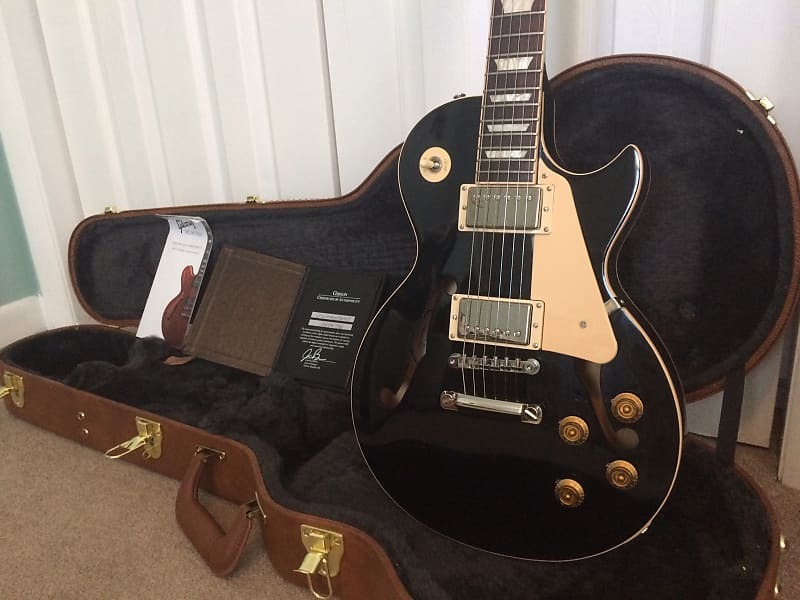 Owning 335's and an ES 330 as well as LP's over the years, I find the ES LP to straddle a line between an LP and a 330. 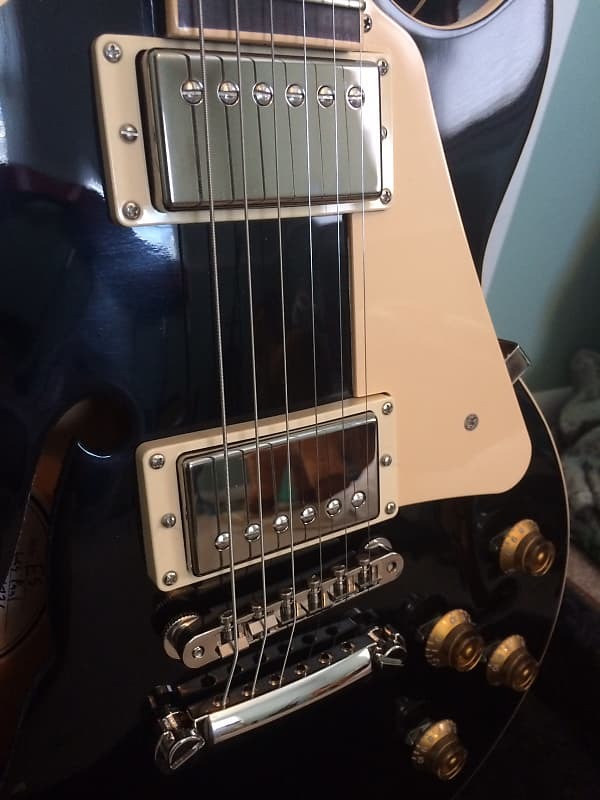 The 16th fret neck join gives lots of LP tone and the more hollow than a 335 construction really uniquely pushes it into nearly thinline hollowbody ES 330 territory, with the minimal center block making it more focused than the full hollow 330. 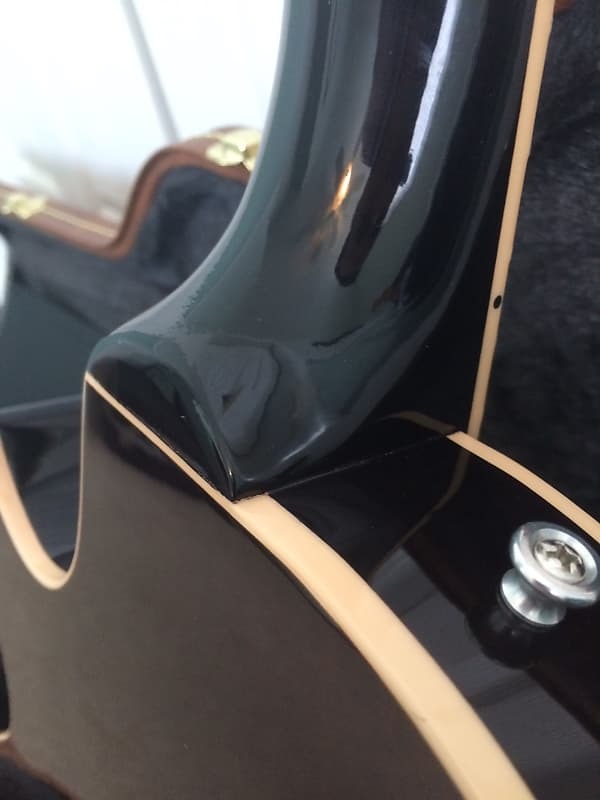 Never mind the unique experience of having a 6 lb Les Paul.